Whether it’s a new advance for treating the Charcot foot, a promising wound care dressing, a cartilage allograft to address osteochondral defects or a medication for psoriasis, the latest roundup of innovations may offer treatment options for potentially improved outcomes. With this mind, this author talks to leading experts to get their thoughts on these emerging modalities. New advances and emerging technologies continue to abound in podiatry, giving podiatric physicians intriguing treatment options in the areas of podiatric surgery, wound care, the diabetic foot and lower extremity dermatology. Here is what leaders in the profession had to say about new and emerging products and technologies. Promo™ Triplanar Hallux Valgus System (Paragon 28). A recently developed tool for hallux valgus surgery takes into account the possibility of a rotational deformity and recognizes shifting developments in the research on bunionectomies. “The Promo™ Triplanar Hallux Valgus System utilizes the paradigm shift in bunion surgery to allow for triplanar correction of the deformity,” says Patrick DeHeer, DPM, FACFAS, who is in private practice in Indianapolis. The manufacturer Paragon 28 notes that if the rotational deformity in hallux valgus goes uncorrected, it can lead to recurrence of the bunion. As the company notes, the Promo Triplanar Hallux Valgus System has custom jigs and implants that can help podiatric surgeons measure, construct and fixate an osteotomy on the first metatarsal’s proximal aspect. Depending on the severity of the intermetatarsal angle and rotation angle, Paragon 28 says the product facilitates an osteotomy that is specific to the patient’s bunion deformity. The manufacturer adds that an oblique cut allows the surgeon to rotate the distal aspect of the metatarsal for concurrent correction of metatarsal internal rotation and varus deformity. As Dr. DeHeer notes, the Promo Triplanar Hallux Valgus System utilizes preoperative radiographic measurements for exact deformity correction in the transverse, frontal and sagittal planes. He adds that the system incorporates stable fixation and allows for early weightbearing. Dr. DeHeer has used the Promo Triplanar Hallux Valgus System for four months for hallux valgus and sees no downsides to the system. Paragon 28 says the Promo Triplanar Hallux Valgus System also has a Precision™ guided system so surgeons can place a cross screw across the osteotomy and avoid the hardware colliding with the plating construct. G-Beam™ Fusion Beaming System (Orthofix). 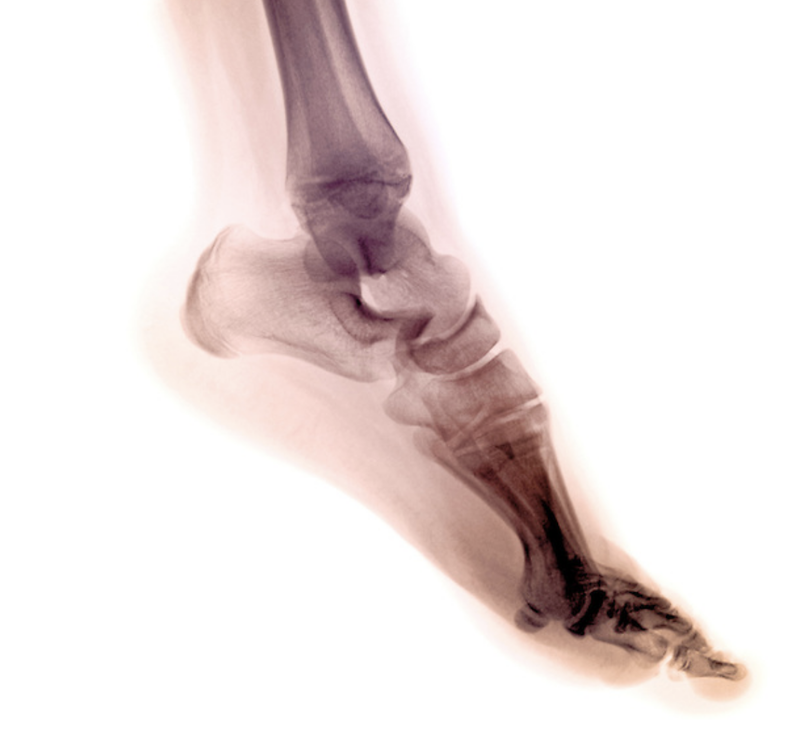 Emerging beaming technology reportedly allows surgeons to apply more effective compression in the Charcot foot. The manufacturer Orthofix says the G-Beam™ Fusion Beaming System can address the specific demands of reconstruction to address advanced deformities and trauma in the lower extremity. The company notes that surgeons can utilize the system to treat neuropathic deformities, such as Charcot, that require fusion of the medial and/or lateral columns with or without corrective osteotomies. The G-Beam is also indicated for midfoot and hindfoot joint fusion. Peter Blume, DPM, FACFAS, says the G-Beam system is designed to be a loadbearing device based on bending moment calculations of the human foot. He says the product is specifically designed to accept loads of compression dorsally and tension plantarly of the weightbearing midfoot/hindfoot without failing. With its unique inner and outer diameter, and stainless steel material, the G-Beam shares loads with the ligaments and bones, according to Dr. Blume, an Assistant Clinical Professor of Surgery in the Department of Surgery and an Assistant Clinical Professor of Orthopaedics and Rehabilitation in the Department of Orthopaedics, Section of Podiatric Surgery at the Yale University School of Medicine. He says the product was successfully tested for safety in 300-pound patients and the G-Beam system is patented as a weightbearing device. “No other internal Charcot hardware is so patented or designed,” notes Dr. Blume. Dr. Blume says the G-Beam generates at least 30 percent more compression than the standard screws surgeons commonly use for Charcot intervention. He explains that the surgeon can readily remove the screw if infection or other complications demand it. Dr. Blume says the screw retrieval device, as well as a specifically sized standard “easy out” are part of a comprehensive tray the company provides. The G-Beam has two different diameter implant ranges that are designed for optimal implant selection for wide-ranging patient anatomies, according to Orthofix. Dr. Blume says the surgeon can place a variety of end caps after inserting the beam, either to compress or not compress based on the surgical circumstance. Dr. Blume says the G-Beam’s fluted design invites bone ingrowth for further stabilization of the foot. The system also enables surgeons to combine a smaller 5.4 mm core diameter beam, which one can readily use in lesser metatarsals, with 7.4 mm core diameter beams in the medial and lateral columns to enhance load sharing, according to Dr. Blume. “This combination of sizes makes comprehensive anatomical reconstruction of the Charcot foot better realized,” emphasizes Dr. Blume. Tolcylen™ Antifungal/Nail Renewal Solution (Marlinz Pharma). An emerging topical may help DPMs fight onychomycosis, improve the cosmetic appearance of toenails and renew the nails. Tolcylen™ Antifungal/Nail Renewal Solution includes ingredients such as urea, lactic acid and propylene glycol. The manufacturer Marlinz Pharma distributes Tolcylen directly to podiatric physicians. The company emphasizes that the product’s ingredients are emulsified in low molecular weight, low surface tension excipients to penetrate and carry antifungal agents through the nail plate. The company adds that the agents in Tolcylen can soften, thin and lighten nails that are brittle and discolored. Nicholas Romansky, DPM, FACFAS, says patients can use Tolcylen to the tip of the toe and can use the antifungal if they wear nail polish. He has been using the product for almost a year and notes Tolcylen soaks into the nail bed and plate, and can rehydrate the nail. Dr. Romansky cites the antifungal’s use of jojoba as an advantage. Marlinz Pharma notes that jojoba oil and vitamin E can moisturize and revitalize nails, making for a better nail appearance and higher growth rates. Dr. Romansky also cites the antifungal’s streamlined paintbrush for ease of application. As the company says, the applicator brush tip controls the flow of Tolcylen and delivers medication to the nail fold and hyponychia. Patients can use Tolcylen by itself or with another agent like terbinafine, according to Dr. Romansky, who is in private practice in Media and Phoenixville, Pa.
BioFuse Viable Bone Matrix (Extremity Medical). An emerging live cell graft may aid in bone regeneration and reduce the incidence of nonunion. Jesse Burks, DPM, has used BioFuse Viable Bone Matrix for the past year. As he says, the graft’s scientific processing advancements provide an increased amount of viable cells—an average of 1 million mesenchymal stem cells and osteoprogenitor cells—and growth factors that are essential for bone healing. BioFuse facilitates osteogenesis, osteoconductivity and osteoinductivity, according to the manufacturer Extremity Medical. The company notes the matrix delivers active live cells, has a scaffold that provides access to bone formation factors and has higher amounts of bone formation factors for cell signaling. The company adds that BioFuse has more of bone matrix protein (BMP) 2 and 7 as well as more bone remodeling factors, cell proliferation and angiogenesis stimulators. Bradley Lamm, DPM, calls the product’s increased amounts of growth factors and viable cells “essential.” He notes that as BioFuse is an allograft, there is no donor site morbidity. Dr. Lamm says one can use BioFuse along with an autograft. In using BioFuse, Dr. Burks has seen a significant decrease in the total time to fusion and less incidence of delayed union and nonunion. “Any time I can provide these types of results for patients and not have to obtain an autograft from a secondary site, I’m happy and, most importantly, the patients are happy,” says Dr. Burks, who is in private practice in Little Rock, Ark. Extremity Medical says BioFuse thaws in five to 15 minutes without decanting and one can mold the graft into any shape. Dr. Burks notes BioFuse is easy to handle in the operating room. Siren Diabetic Socks (Siren). Elevated temperature in the lower extremity can be an indicator of inflammation and a precursor to diabetic foot ulcers. Patients can now wear socks that can serve as a warning for the complications of diabetes. Alexander Reyzelman, DPM, notes Siren Socks have temperature sensors embedded into the fabric of the sock and can detect fluctuations in skin temperature while the patient is walking. “We may be able to prevent diabetic foot ulcers and catch these injuries before they occur,” says Dr. Reyzelman, an Associate Professor at the California School of Podiatric Medicine at Samuel Merritt University and the Co-Director of the University of California San Francisco (UCSF) Center for Limb Preservation. Dr. Reyzelman believes Siren Socks may be the first wearable product of their kind. He says patients can wear the socks all day and the socks’ technology sends the patient’s smartphone a notification of any temperature increase of more than 4º. Dr. Reyzelman notes this alerts the patient of an elevation of temperature and possible development of a tissue injury. As the manufacturer Siren notes, Siren Socks use Neurofabric to detect temperature changes between the feet that are a sign of possible foot ulcers. 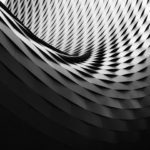 The company says Neurofabric is the first textile that weaves microsensors directly and nearly invisibly into the fabric. Siren cites evidence that monitoring plantar temperature can prevent up to 87.5 percent of foot ulcers in comparison to therapies like therapeutic footwear or regular foot exams. The company adds that the socks can be a tool to help patients with diabetic neuropathy prevent foot injuries before they occur. ProChondrix® CR (AlloSource/Stryker). An emerging allograft provides growth factors that surgeons may use to repair osteochondral defects of the talus. Surgeons can use ProChondrix® CR, a living fresh cartilage allograft, to repair injured cartilage in osteochondral defects of the talus or in the first metatarsal, notes H. John Visser, DPM. As he notes, ProChondrix contains several growth factors stimulating the regeneration of hyaline cartilage, such as basic fibroblast growth factor (bFGF), proteoglycan 4 (PRG4), transforming growth factor beta (TGF-β), insulin-like growth factor 1 (IGF-1), bone morphogenetic protein 2 (BMP-2), bone morphogenetic protein-7 (BMP-7) and platelet-derived growth factor (PDGF). Dr. Visser, the Director of the SSM Health DePaul Hospital Foot and Ankle Surgery Residency in St. Louis, says the growth factors and extracellular matrix proteins contribute to the healing process through the multiple stages of cartilage regeneration and repair. He says the consistency of ProChondrix mimics native cartilage. Dr. Visser notes that surgeons can trim and measure the allograft to fit the exact defect, and subsequently secure the allomatrix with fibrin glue. Dr. Visser initially began using the ProChondrix for osteochondral lesions of the talus and most recently has used it in younger individuals with Stage II hallux limitus involving the first metatarsal. The manufacturer AlloSource says ProChondrix CR provides live functional cells and biological components to repair regenerate damaged cartilage tissues. The company notes that viable chondrocytes can help repair cartilage by generating extracellular matrix proteins to facilitate chondrogenesis. Dr. Visser cites an advantage with ProChondrix, saying the various stimulating growth factors promote bone marrow-derived cell migration to the surgical site for chondrogenesis. He notes the growth factors increase the cross-linking glycosaminoglycans that are necessary for appropriate cartilage function. He says ProChondrix preserves the subchondral bone plate and does not disturb the geometric shape of the joint surface. However, Dr. Visser notes one limitation of ProChondrix is its shelf life, a recommended 35 days. To achieve desired results, he says chondral allografts should have more than 70 percent of viable cells available at the time of implantation. OssioFiber™ (Ossio). While traditional metal implants lend strength to the lower extremity, they can also lead to complications. A new bio-integrative implant, reportedly the first non-permanent implant with more strength than cortical bone, provides enhanced strength without adverse effects. Bob Baravarian, DPM, FACFAS, notes OssioFiber™ is a bio-integrative material that slowly takes the place of bone and replaces metal hardware. The manufacturer Ossio notes OssioFiber provides the strength and function for load bearing fixation, and can also fully integrate into the native anatomy without inflammation. Ossio says the implant maintains 1.5-fold the strength of cortical bone for 12 weeks, gradually transferring the load to the native bone after healing occurs. One can use OssioFiber for hammertoes and to fixate an osteotomy, according to Dr. Baravarian, an Assistant Clinical Professor at the UCLA School of Medicine, and the Director and Fellowship Director at the University Foot and Ankle Institute in Los Angeles. He says the material in OssioFiber fully integrates into the bone with almost no resorption or cystic changes. “What this means is the material integrates into the bone and makes the bone stronger as it grows in instead of an absorbable material that causes a burst effect and absorbs and causes cystic changes,” says Dr. Baravarian. As Ossio notes, bioabsorbable polymer resin (PLDLA) binds the fiber matrix together into a cohesive material. The company adds that the polymer is virtually eliminated 78 weeks after OssioFiber implantation. PermeaDerm C (PermeaDerm). Taking advantage of a technology long used for burns, a permeable membrane dressing may facilitate improved healing for wounds. PermeaDerm C is a safe, biocompatible primary dressing that Stephanie Wu, DPM, has used for about eight months. The membrane has variable porosity, an aloe/gelatin bio-coated 3D surface and is stable at room temperature, according to Dr. Wu, the Associate Dean of Research, a Professor of Surgery at the Dr. William M. Scholl College of Podiatric Medicine and a Professor of Stem Cell and Regenerative Medicine at the School of Graduate Medical Sciences at the Rosalind Franklin University of Medicine and Science. The manufacturer PermeaDerm says PermeaDerm C is indicated for partial and full-thickness chronic wounds that have had debridement and have achieved homeostasis, including diabetic, pressure, venous and chronic vascular ulcers. Other indications include surgical wounds, traumatic wounds and draining wounds, donor sites, partial-thickness burns and meshed autograft coverage. As the manufacturer notes, PermeaDerm C controls moisture vapor, is transparent and has strength and conformability. The company adds that the membrane is inexpensive and easy to apply and remove. PermeaDerm C is an extension of the Biobrane (Smith and Nephew) technology that clinicians have used for five decades as an alternative to cadaver allografts to manage burn injuries, according to Dr. Wu. As she says, both PermeaDerm and Biobrane are functionally similar to an adherent membrane oxygenator and work well on wounds free of eschar. One should not use PermeaDerm C in infected, colonized wounds, notes Dr. Wu. Impoyz™ Cream (Encore Dermatology). A brand new concentration of a proven steroid may help treat patients with lower extremity psoriasis. Tracey Vlahovic, DPM, notes Impoyz™ Cream consists of clobetasol propionate at a concentration of 0.025%, different from the 0.05% concentration that clinicians usually use. She says patients would use the high potency class 2 topical steroid for 14 days consecutively for psoriasis. The manufacturer Encore Dermatology notes Impoyz Cream, which became available in May, is indicated for moderate to severe plaque psoriasis. The company notes that application site discoloration occurred in 1 percent of patients using Impoyz. One advantage of Impoyz Cream is that it is propylene glycol-free, according to Dr. Vlahovic, a Clinical Professor in the Department of Podiatric Medicine at the Temple University School of Podiatric Medicine. As she notes, the American Contact Dermatitis Society named propylene glycol, found in many topical substances, the 2018 Allergen of the Year. Dr. Vlahovic adds the Impoyz Cream’s vehicle contains a stabilizer that keeps the active ingredient in and around the epidermis. H75 (Protalus). With a new over-the-counter orthotic, patients who want to wear fashionable shoes can do so while getting the support they need. The H75 orthotic features what Dr. Romansky calls the four C’s: cushioning, control, comfort and contour. He has used the H75 for patients with medial arch pain, plantar fasciitis, calcaneal valgus and for those who need heel cushioning. Dr. Romansky says the orthosis offers more arch control and patients can use the H75 with other orthotics. Dr. Romansky notes the H75 works well with high heels. The manufacturer Protalus says the H75 can conform to heels of 2.5 inches or higher, and will work over an existing insole. The company says the device redistributes the weight in the foot and a footbed conforms to the foot to lower peak pressure. In addition, Protalus says the orthosis has anti-slip ridges that anchor the insoles in place and notes that less movement of the insole in the shoe will provide better alignment and comfort. The company also notes the device has a rigid heel cup.